Quick quiz: what do the 4 H’s in 4-H stand for? Read the rest of this post and you’ll find out at the end. 4-H is celebrating a big birthday this year – 100 years. Since 1913, 4-H has given youth between the ages of eight and 21 opportunities to learn new things such as caring for animals, sewing, cooking, taking photographs, babysitting skills and much more through a dedicated group of volunteer leaders. It’s one of the longest-running youth organizations in Canada. And yes, I’m happy to say that I’m a 4-H alumni. I received my babysitting certification through 4-H, as well as learning other skills such as sewing. 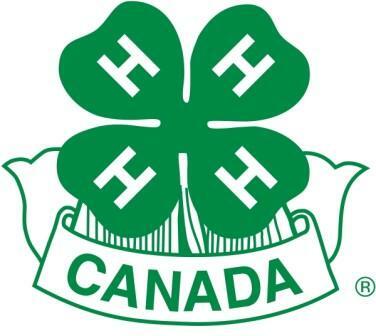 Recently I read an article on the future of 4-H in Canada. Back in the 70s, 80s and 90s (and probably also before that), if you were a youth growing up in rural Canada there’s a good chance you were involved in 4-H in some way. 4-H has always been geared towards instilling life skills and agricultural knowledge in rural youth but this will soon be changing. With declining memberships, attributed to a decreasing rural population not a lack of interest in the organization, 4-H clubs are starting to look elsewhere for members. Members will not only come from rural Canada but also from urban centres and First Nations communities. Some are hesitant about this as it could mean a shift away from agriculture and a focus on more home economics projects. But I see this as a positive. Why? Because this could be used as a way to bring ag to the city. With the majority of Canadians living in urban centres and several generations removed from the farm, we need to educate these people on where their food comes from so they can make informed food choices in the grocery store. Let’s look at this as a way to possibly connect rural and urban. So let’s go back to that quiz at the beginning of this post. What do the 4 H’s in 4-H stand for? As a 4-Her you pledge your Head, Heart, Hands and Health to your club, community and country. For more information visit the 4-H Canada website. Were you or are you involved in 4-H? Tell me about your experience by leaving a note below.